Did you ever play a game/icebreaker called "Highs and Lows?" This is how it works, every one goes around the room and says one high point of their week and one low point of their week. So, here's my version- I'll give you two highs and a low. Good news first: I got my first Enell Ambassador package in the mail Wednesday! It included an Enell Sport in Scuba Duba Blue- the newest limited edition color; a tech t-shirt; a tech long sleeved zip up jacket; a hat; and some other little goodies. 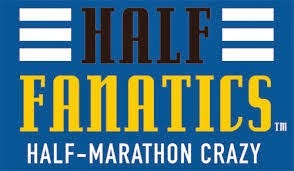 I am so excited to run the Harrisburg Half Marathon this weekend as an official ambassador! 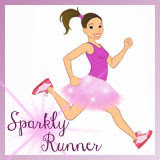 More good news: I got featured on the #runchat blog! 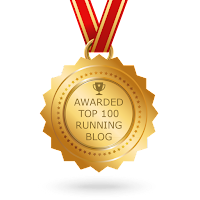 You can find it here as part of the 2014 Running Blogs Month. Pretty cool, huh? Ok, now here's the low. There's something weird going on with my right foot. For almost a year, I've had intermittent top-of-foot-pain accompanied by some swelling. I've seen two doctors for it- one physical therapist, one orthopedist. Both told me that the most likely problem was shoelaces that were too tight- they didn't see any signs of a fracture or something more serious. But after last week, when I ran four days in a row, my right foot and ankle were swollen and hurting again. The swelling is almost all gone and the pain comes and goes. My x-rays in June were fine and the doctor wasn't worried. However, he told me to come back if it flared up again. I recently started lacing my shoes differently and I'm praying that the previous lacing was the problem. It could be nothing, it could be a stress fracture, it could be extensor tendonitis. I have an appointment with the orthopedist next week. 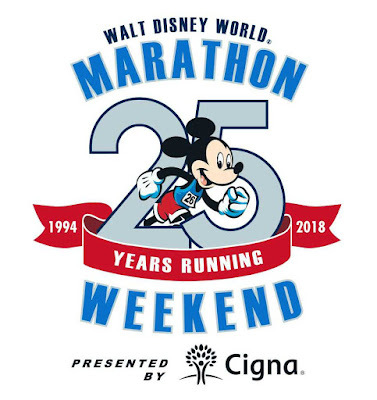 Please keep your fingers crossed that all is ok and I won't need to take weeks/months off of running :-/ Matthew (who is just a wonderful man, by the way) keeps telling me not to freak out and that we'll figure something out. But I am freaking out. A little. There you have it- two highs and a low. I'll keep you all updated with the foot situation as it unfolds. QOTD: What's your high and low for this week? Disclaimer: I received the clothing items shown in the photograph above as part of my participation in the Enell Ambassador program. I received no other form of monetary compensation. As always, all opinions are my own. Oh no!!! I've been dealing with feet issues myself.. top of foot pain on my left that took me out for 2 months! 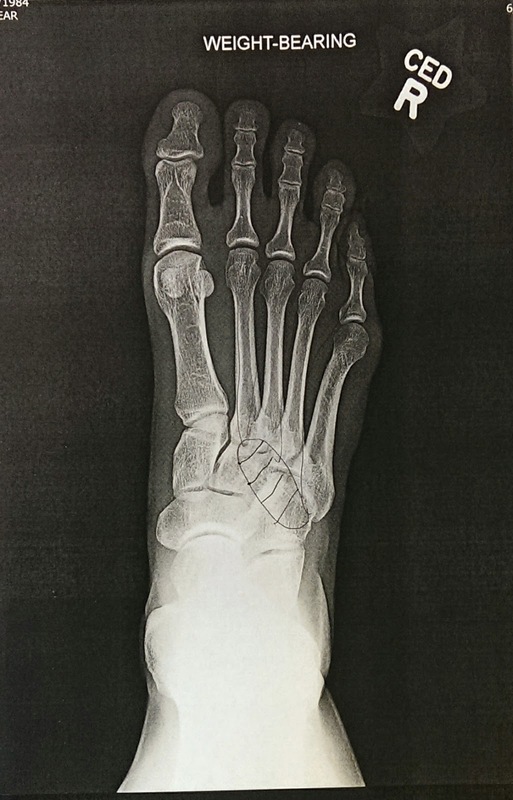 (Podiatrist said it was a cyst.. but I really think it was a stress fracture. Didn't show up on xray, but no other tests were done to confirm diagnosis or rule out a SF.) Anyways... KILLED me not to run! Now, I'm having a little bit of an issue here and there with my right foot.. and I'm SOOO paranoid that every little twinge is freaking me out. So I REALLY know how you feel! My advice (and sorry it's not very happy!) back off a little. Reduce the high impact.. maybe ease up on the mileage a bit.. MAYBE take a week off and see if that resets things. Listen to your body and stop when you feel pain. (I know you probably know all this.. but it's all I got.) Hoping the best for you! I really enjoyed tweeting with you on wwchat last night. Congrats on the being an Enell ambassador (I love their bras!) and being featured on runchat. I hope the foot pain is not anything to worry about. Hope you feel better. Let's see the high was that I can 2 miles each day of the Labor Day weekend. The low was that I was up a bit on scale this week because of Labor Day weekend festivities. It's all good I expected it, that's why I kept on top of my runs! Cheers to a new week! It was great chatting with you too, Patty! And kudos to you for getting out there over a holiday weekend-it's so tempting to not want to do anything when we're "on vacation." And a little gain isn't a big deal- you've got a whole new week to be awesome. Nice meeting you! Chat with you soon!! Congrats on being featured on the Run Chat blog! How awesome is that! As for your foot, try not to worry too much, and hopefully the doctor will be able to provide a diagnosis and an explanation for your pain next week. Thanks, Kathryn! It's hard not to freak out and think about all the crazy things it could be. Cool ambassador package! 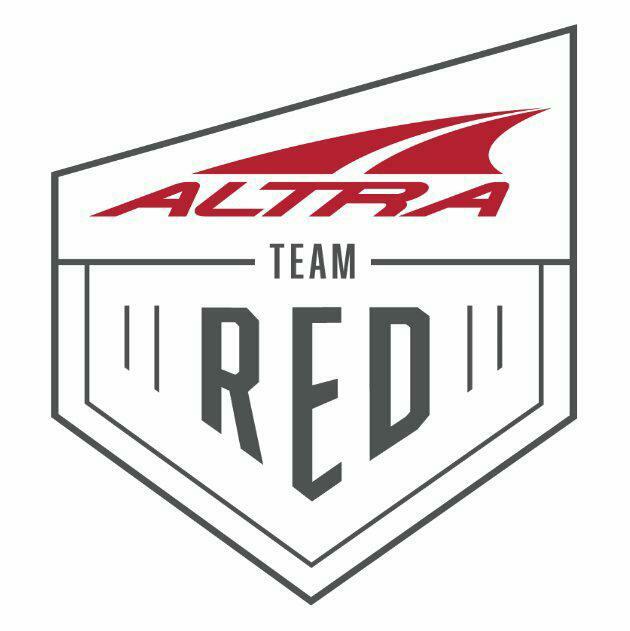 Good luck and have fun at your race. Hope nothing serious is wrong with your foot. Thanks, Jen! The race was this morning and it went really well!! 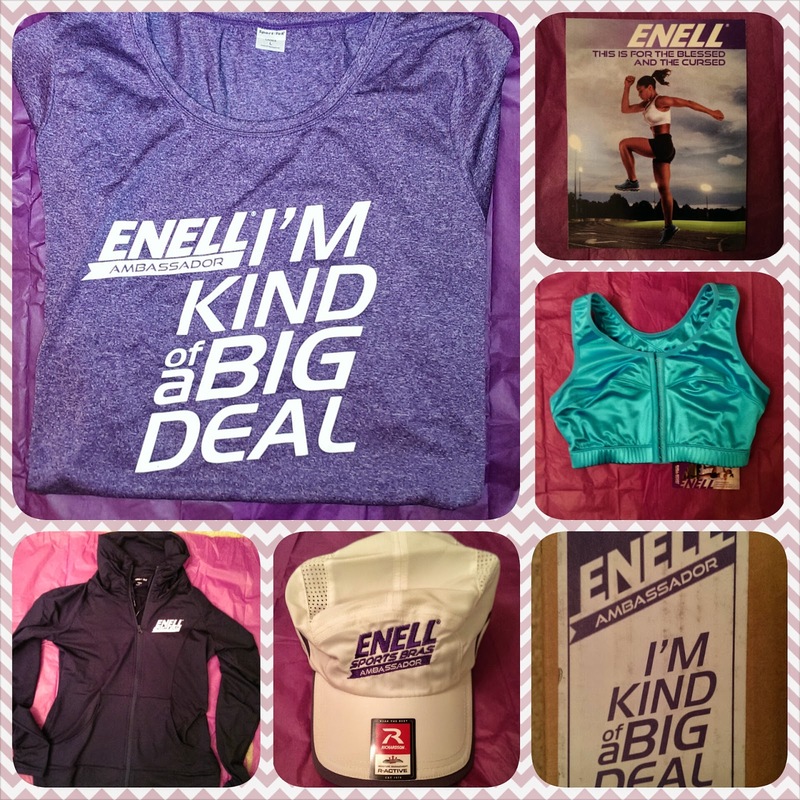 Enell sent you some awesome stuff in your ambassador package! Hoping there's nothing seriously wrong with your foot! Wow Sarah, you got an awesome package of swag for your new ambassador role. Congrats! Have you thought about using Locklaces for your shoes? They are elastic and I use them in all my running shoes. They keep your shoes from feeling too tight as your feet swell as you run. Good luck and hope the foot is fine! Funny thing- I've been using lock laces for the last year! The PT and ortho think that's the problem- that it's putting too much stress on my tendons. We will see what they say this time around!